“reliable sources have informed me that they have first-hand knowledge that the British Foreign Office has communicated direct threats to the U.S. Department of State, warning, in effect, that any move to reinstate Glass Steagall will be considered an act of agression against the British government, by which they mean the British Monarchy and the City of London financiers. Wall Street is not the center of the problem. Wall Street is merely an appendage of the British. That is an old story. It goes back to the time of the British East India Company, and the actions of traitors like Aaron Burr and August Belmont. 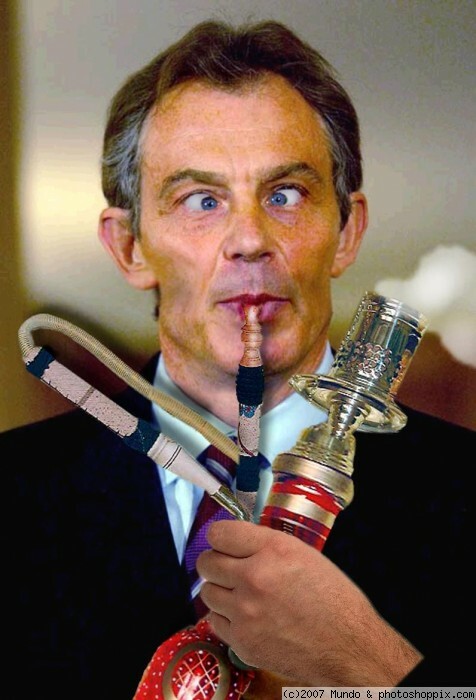 Following is part of Tony Blair’s important policy articles while he was still in office, at Foreign Affairs, “A Battle for Global Values.” His accurate summary upon the costs of terrorism, completely diverts any and all attention to The British Monarchy/Illuminati’s use of Islamic terrorism for their pipe dreams of a NWO. I have paraphrased his comments to illustrate the deception. IOWs, Tony speaks of wanting peace while the Illuminati wants chaos. This is not a clash between civilizations; it is a clash about civilization. 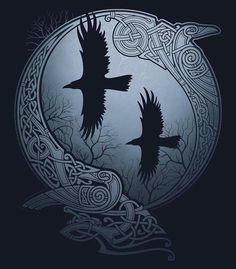 It is the age-old battle between progress and reaction, between those who embrace the modern world and those who reject its existence — between optimism and hope, on the one hand, and pessimism and fear, on the other. President George Washington Structured The Militia System To Prevent Treason And Tyranny By Public Officials! In any struggle, the first challenge is to accurately perceive the nature of what is being fought over, and here we have a long way to go. It is almost incredible to me that so much Western opinion appears to buy the idea that the emergence of this global terrorism is somehow our (British Monarchy’s NOT British Government) fault. British Monarchy With Their Boy Hitler. 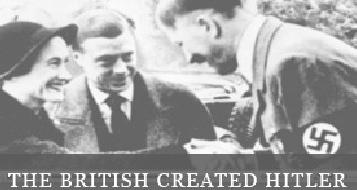 Hitler Helped The Monarchy Reduce The British Government’s Population During WWII. For a start, the terror is truly global (Propagated By Monarchy Operatives Using Islam As Did Another Monarchy Puppet ‘Hitler’) . It is directed not just at the United States and its allies but also at nations who could not conceivably be said to be partners of the West. America’s wealth and this is done by subjugation. It is also rubbish to suggest that Islamist terrorism is the product of poverty. Of course, it uses the cause of poverty as a justification for its acts. But its fanatics are hardly champions of economic development. Furthermore, the terrorists’(British Monarchys’) aim is not to encourage the creation of a Palestine living side by side with Israel but rather to prevent it. They (British Monarchy) fight not for the coming into being of a Palestinian state but for the going out of being of an Israeli state. The terrorists base their ideology on religious extremism — and not just any religious extremism, but a specifically Muslim version. The terrorists do not want Muslim countries to modernize(To Be Subjugated By The British Monarchy As Happening To The U.S.)They hope that the arc of extremism that now stretches across the region will sweep away the fledgling but faltering steps modern Islam wants to take into the future. They want the Muslim world to retreat into governance by a semifeudal religious oligarchy. At the siege of Vienna in 1683 Islam seemed poised to overrun Christian Europe. We are in a new phase of a very old war Brought On By The British Monarchy. America’s First War Was Against The Ottoman Empire, Which Was Controlled By The British Monarchy. 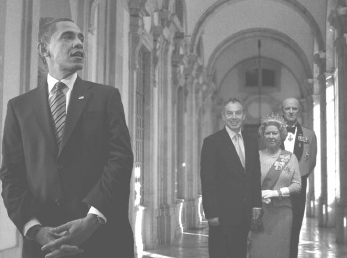 Rothschild Banking/British Monarchy, With Blood On Their Hands : United States At War With The British Monarchy! Democrats Installed Present Day Fascist Regime In Iran! New Orleans Runs $5,000,000.00 Anti-British Monarchy Campaign : Bobby Jindal Polemicized With Obama Just Long Enough For The Oil To Hit Louisiana Marshlands. How Many More People Does British Monarchy’s BP Have To Kill, Before America Understands It Is British Monarchy’s Use Of Shadow Governments To Destroy Nations? Some people believe that terrorist attacks are caused entirely by the West’s suppression of Muslims. Some people seriously believe that if we only got out of Iraq and Afghanistan, the attacks would stop. And, in some ways most perniciously, many look at Israel and think we pay too great a price for supporting it and sympathize with those who condemn it. If we recognized this struggle for what it truly is, we would at least be on the first steps of the path to winning it. But a vast part of Western opinion is not remotely near this point yet. This ideology has to be taken on — and taken on everywhere. Islamist terrorism will not be defeated until we confront not just the methods of the extremists but also their ideas. I do not mean just telling them that terrorist activity is wrong. I mean telling them that their attitude toward the United States is absurd, that their concept of governance is prefeudal, that their positions on women and other faiths are reactionary. 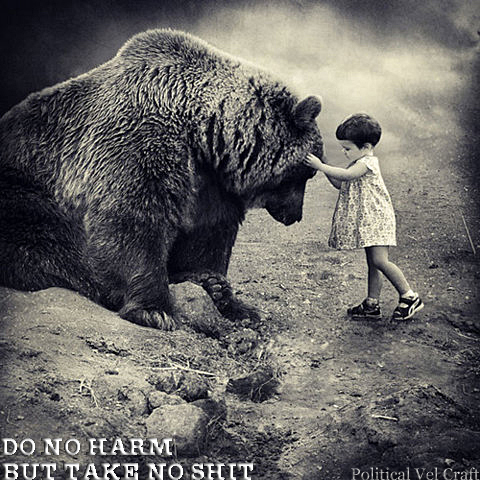 We must reject not just their barbaric acts but also their false sense of grievance against the West, their attempt to persuade us that it is others and not they themselves who are responsible for their violence. How the Illuminati is Destroying America!